RHPK Team Amigos; Kevin Coombes, Matt Wileman and Roy Grassie were joined by Team Lambo driver Geoff Lamb to make up Team: ‘Hot Fuzz’ in the Club 100 ten hours of racing in SPA, Belgium in the Clubman Class over the May bank holiday weekend. Roy Grassie gives us a overview of their fantastic weekend. 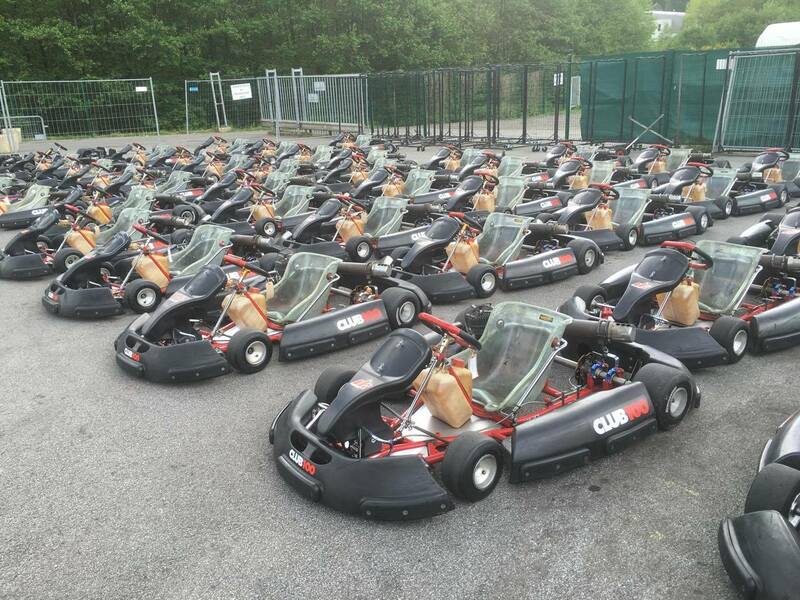 Arriving on Friday afternoon for a quick practice on the corporate karts before the main event, this proved to be really useful not only to learn the fast and flowing circuit but to experience the track in the changeable weather which was a common theme throughout the weekend. 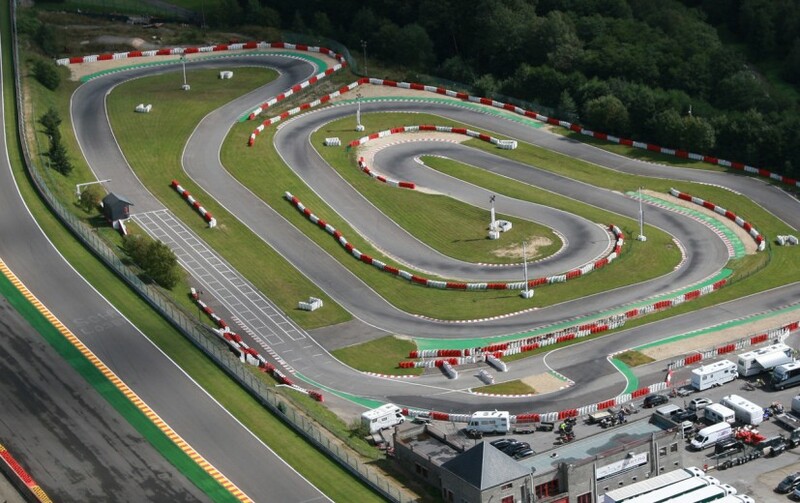 Saturday’s events involved four 30 minute individual sprint races (mixed grid positions) for each driver followed by three 1.5 hour two driver events. 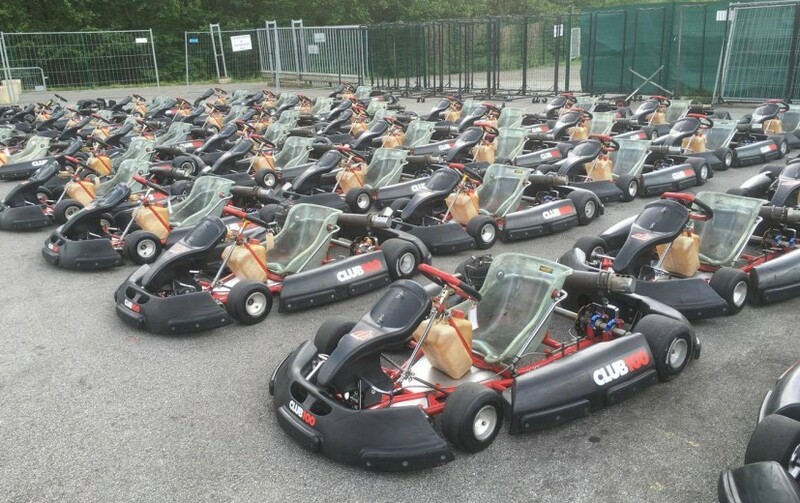 Practice started off well spotting a bent track rod end which could have ended in tears at some point, especially as we had to keep the C100 kart we were issued for the entire event, the ProKart experience in the team was invaluable at spotting trouble before it happened! For those that don’t know them, the Club 100 kart is a Birel Chassis, powered by a TKM BT82 115cc ‘Extreme’ 2-stroke engine which has a direct drive (no clutch). With dropped rounds taken into account we finished day one on top of the leader board with two firsts and a second in the sprints and a first and second place in the paired driver races. Leading the Clubman Class into the Sunday events which involved an F1 style qualifying (in the pouring rain on slicks) for the two 2.5 hour team endurance races that followed. Qualifying was a disaster with a kart that lacked any bottom end, we put it into the gravel twice trying to compensate for the lack of power and ended up towards the back of the grid for race one. The ‘official’ mechanics were allowed to make ‘manual’ adjustments to the kart but no more testing could take place so with a ‘tweak’ of the carburettor we entered the first team race with a bit of an unknown quantity. The team races required a minimum of five pit/fuel stops per race and on a kart that has no clutch and weighs more than a ProKart with an uphill pit exit, this was a serious team challenge but our ProKart experience at Rye really paid off with super fast pitstops and seamless driver changes we made up some good time in the pits and worked our way up the order to take second place in Clubmans in what was a very wet race. Race two started wet with Kevin taking the start but unfortunately got punted off into the gravel on lap one which required a trip back to the pits. After the mandatory gravel check, Kevin headed back out onto the now drying track one lap down on the rest of the field and made use of the drying line and settled down into a good pace for a short first stint. At the first scheduled stop Kevin handed over to Matt who immediately started to unlapping himself up to around 6th place in Clubmans handing over to Geoff who continued the good work on the totally dry track and just nicked the class lead before handing back to Kevin for his stint who continued to stretch the lead. Roy took the final stint and maintained the clubmans lead to the chequered flag. 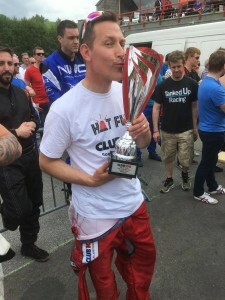 Team ‘Hot Fuzz’ were the Clubman’s Class Champions at the SPA 10 hours of racing which was down to good driving, a strong strategy, looking after the kart and experience gained in the RHPK series where all four drivers know the importance of good teamwork. Teams Amigos and Lambo are looking forward to plenty more close racing in the RHPK championship and Polish sausages, of course.